PLASTIC MOUNTAINS - Almost all marine life is now contaminated with micro plastic fibres. The fact that we depend on this food source is a major concern for human health that we ignored when disposing of waste in our ocean backyard. Micro plastics carry toxins such a POPs and PCBs that are potentially carcinogenic. 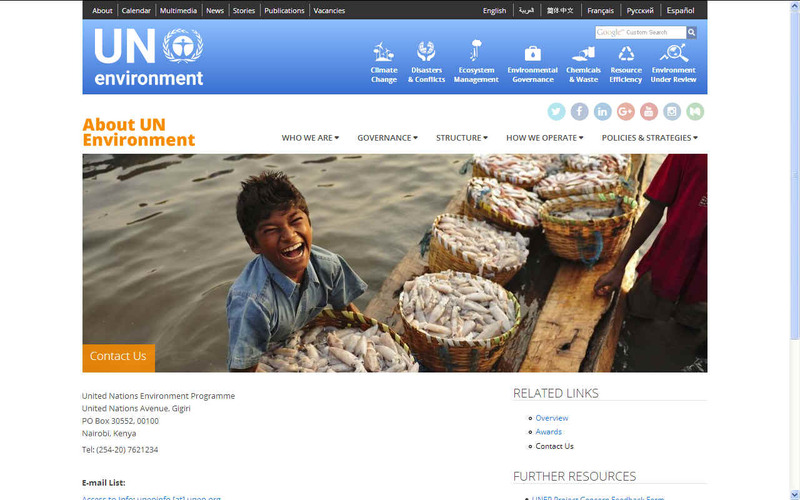 The UN Environment unit launched their #CleanSeas in February 2017, with the aim of engaging governments, the general public, civil society and the private sector in the fight against marine plastic litter. Over the next five years, they will address the root-cause of marine litter by targeting the production and consumption of non-recoverable and single-use plastic. To do this effectively, they are calling on citizens to be aware, engaged and active in addressing the problem in their own lives and beyond. We are also giving a platform to hundreds of local organizations who are already doing important work on marine litter to highlight their efforts. 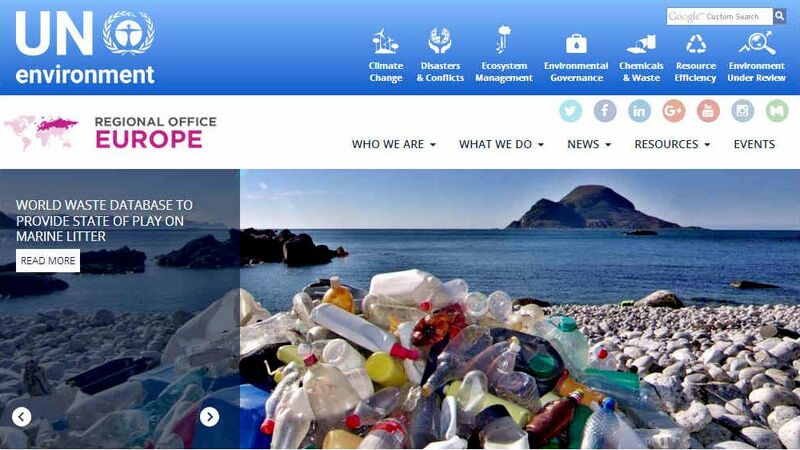 The campaign contributes to the goals of the Global Partnership on Marine Litter, a voluntary open-ended partnership for international agencies, governments, businesses, academia, local authorities and non-governmental organizations hosted by UN Environment. Do you want to help address the problem of marine litter? Then you should join the partnership, a great platform for coordinating activities and exchanging experiences and best practices. As a member, you will also have access to exclusive members' webinars as well as other activities. COMPETITION: Why not enter the first ever Marine Plastics Innovation Challenge ? Marine plastic is one of the most pressing environmental problems facing our time, and urgent action is needed to turn the tide and save our oceans. UN Environment, in partnership with Think Beyond Plastic™, is inviting university students to take part in the 2017 Marine Plastics Innovation Challenge to accelerate the search for solutions to help solve the marine litter problem. We are searching for the most innovative engineering solution and a business plan to prevent plastic pollution in the marine environment through innovations in material, technology, or product design/re-design. We are open to a range of opportunities, from early stage innovations to near-market solutions that have the potential to be manufactured to scale. Examples of materials innovation include bio-benign materials from sustainable sources that do not compete with the human food chain, such as agricultural waste, pulp, and others; examples of product design include improved washing machine filters to reduce the influx of microplastics from textiles; packaging design to minimize unnecessary single-use plastic waste or exposure of good and beverage to plastic; and industrial design that, for example, minimizes plastic intensity in products. Marine plastic is an economic, environmental, human health, and aesthetic problem posing a multi-dimensional challenge to humanity, often compared to climate change in terms of impact, breadth, and complexity. 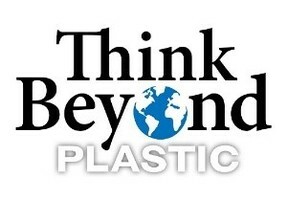 In order to accelerate the search for solutions, UN Environment, in partnership with Think Beyond Plastic™, is inviting university students around the world to submit innovative modeling and tools to help solve the global marine litter problem. We are looking for the most innovative prediction and/or risk-based recovery tool or methodology to identify and model marine litter hotspots. These may include areas of high marine litter accumulation, which may vary with storm events; biodiversity hotspots; important fishing grounds and/or fish nurseries; and/or particularly sensitive/fragile areas of the marine ecosystem. May include improving/testing the use of remote sensing technologies. Modeling and prediction of transport and accumulation of marine litter and how it impacts certain areas may be developed in conjunction with already existing shipping routes, fishing grounds, marine wildlife migration routes, and/or biodiversity hotspots in order to better prioritize recovery efforts and policy and decision making surrounding the marine litter issue and protected areas. Modelling and prediction efforts may be undertaken for a range of geographical coverage including the sub-national, national and regional scales. The full impact of marine plastic on our economy is unknown. However, we do know that it is substantial, and that marine plastic pollution harms several sectors of the economy, such as fisheries and tourism. 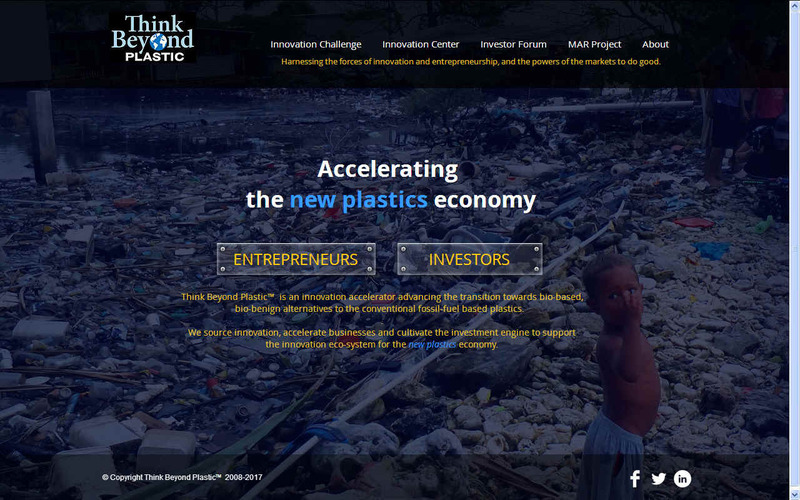 To accelerate the search for solutions, UN Environment has partnered with Think Beyond Plastic™ and is inviting university students to take part in the 2017 Marine Plastics Innovation Challenge. The challenge aims to engage students around the world to help solve the global marine litter problem. We are looking for the most innovative, accurate, and complete valuation methods or models for marine litter effects and robust and up-scalable models to value the direct (tangible) and indirect (intangible) economic effects of marine litter. Also of interest are economic valuations of alternative materials, approaches, and investments in end of life or upstream solutions to marine plastics. Marine litter is an example of market failure and increasing levels of marine litter in the world’s seas and oceans are having a major environmental, economic, and social impact. Little research is focused on the economic costs imposed on society by marine debris. Some of the costs are tangible like the ones faced by fisheries and tourism, but most of the costs are intangible like those faced by the ecosystems and costs related to human health. The economic track of the innovation challenge will also be open to submissions on innovative ways of financing preventative interventions such as self-sustaining methods through re-use, recycling, etc. If you have not logged in before, click the REGISTER button and follow the instructions. If you have already registered, please log in using your e-mail address and password. Deadline for submissions is 6 October 2017. The winners will be invited to the Sixth International Marine Debris Conference in San Diego, USA, on 12 - 16 March 2018. CONTAMINATED HARVESTS - Almost all marine life is now contaminated with micro plastic fibres. The fact that we depend on this food source is a major concern for human health. This website is provided on a free basis as a public information service. copyright © Cleaner Oceans Foundation Ltd (COFL) (Company No: 4674774) September 2017. Solar Studios, BN271RF, United Kingdom. COFL is a charity without share capital.